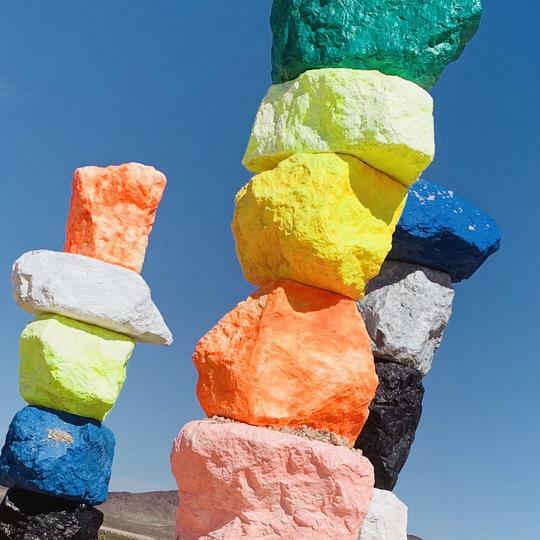 The Nevada landscape is known for its neutral color palette. 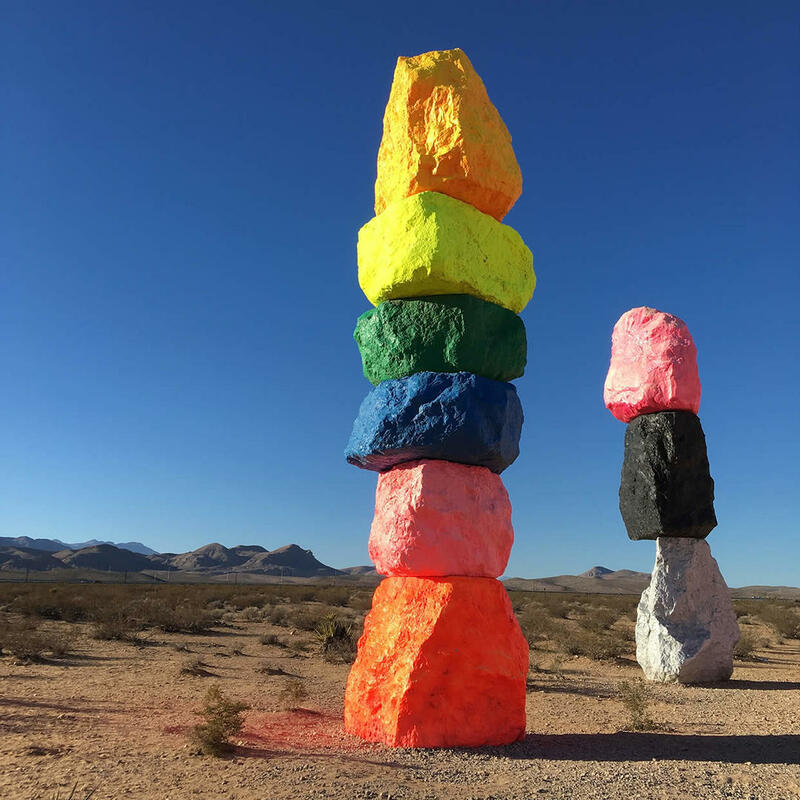 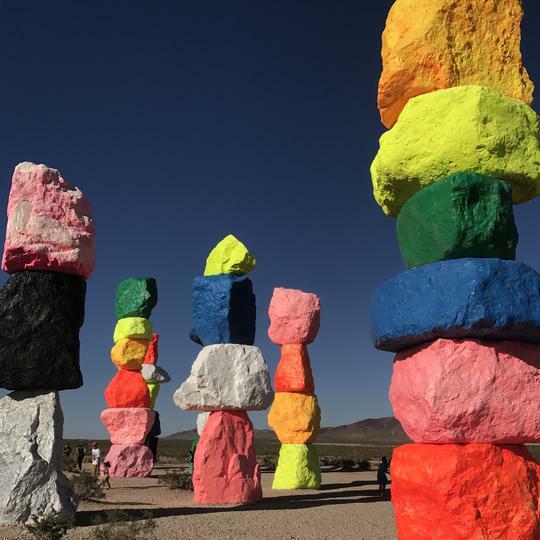 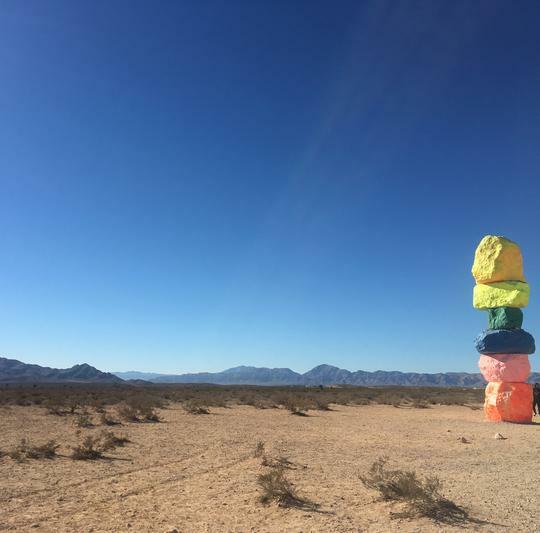 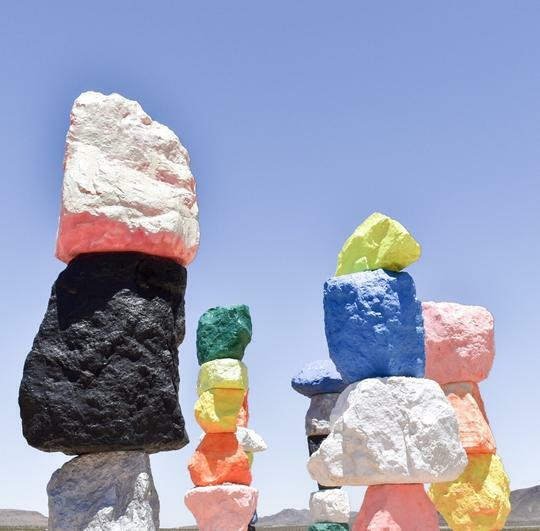 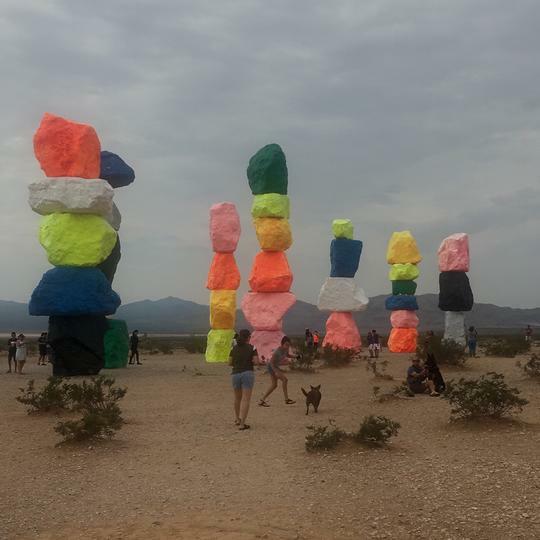 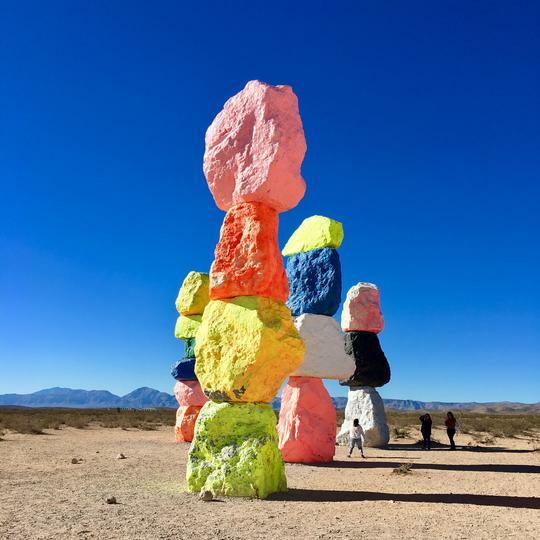 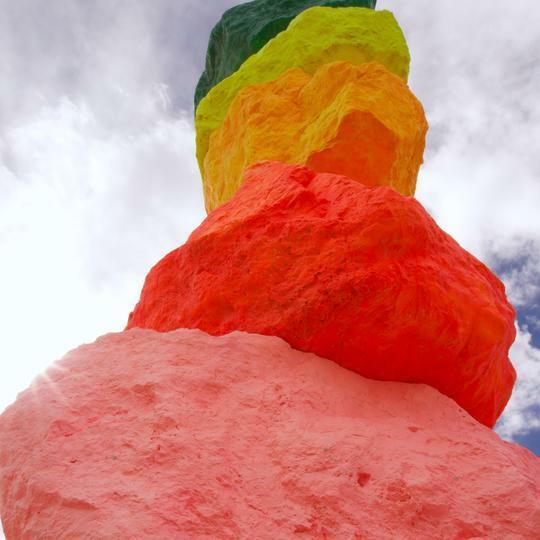 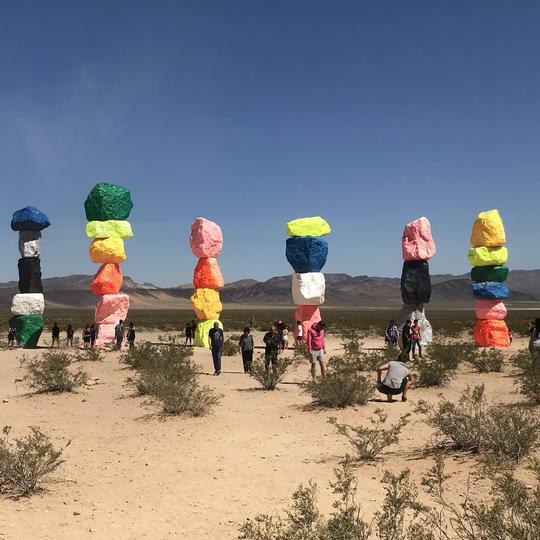 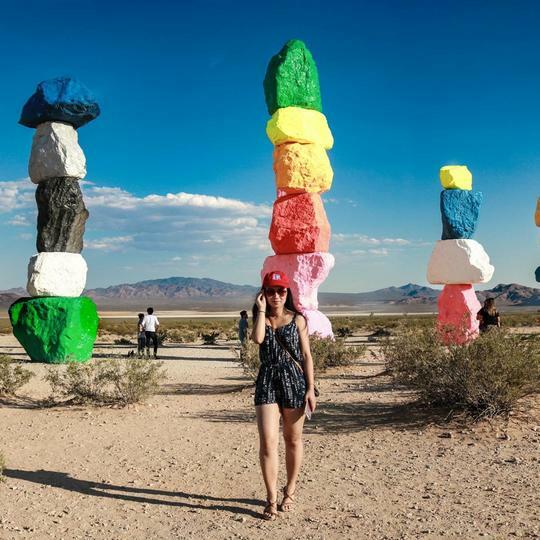 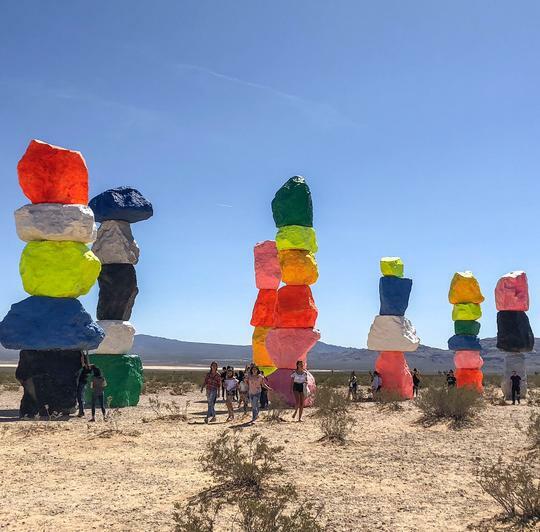 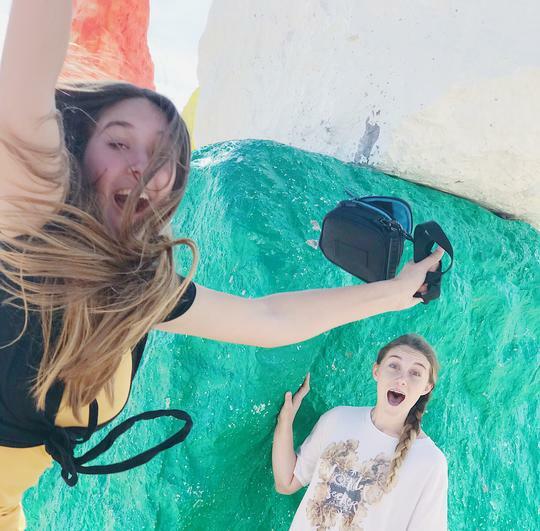 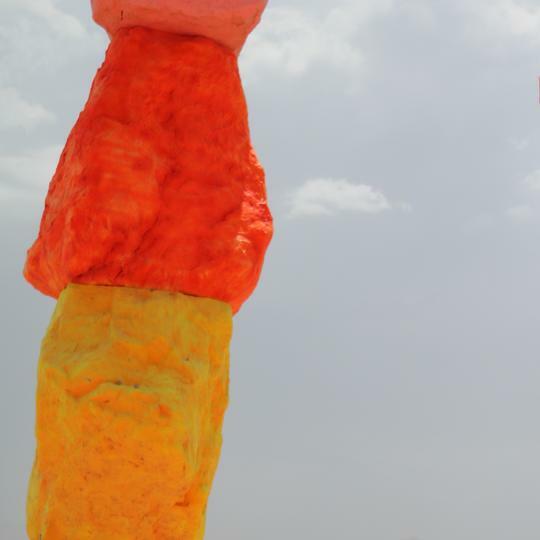 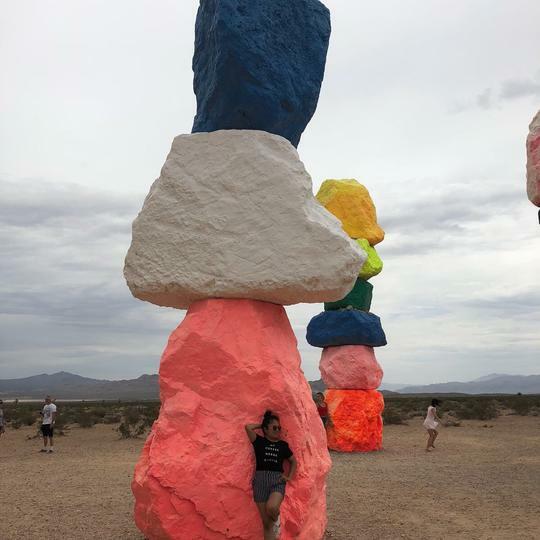 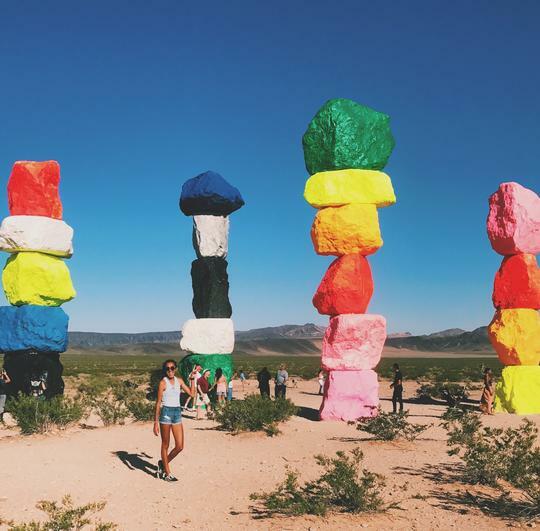 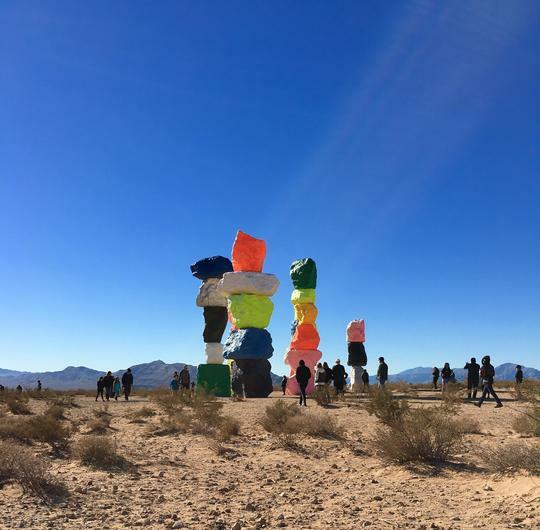 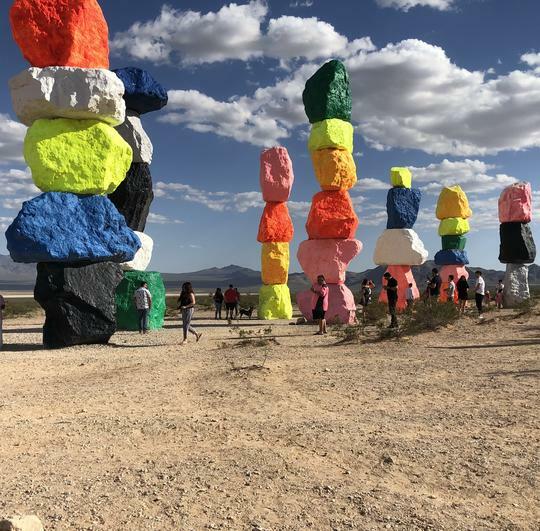 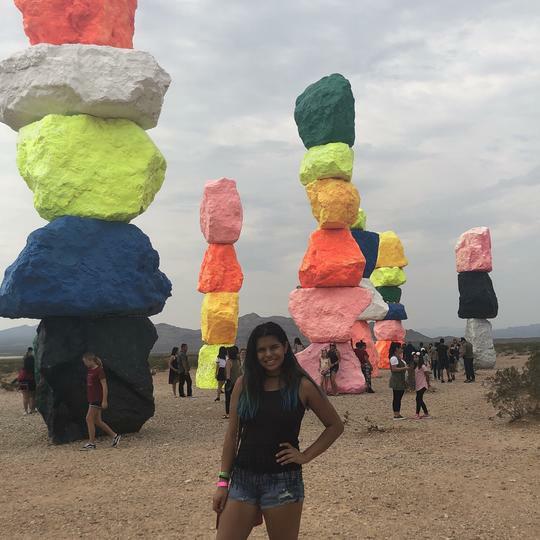 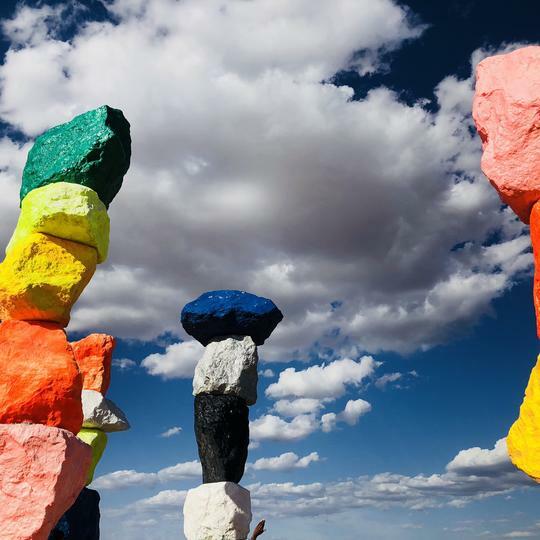 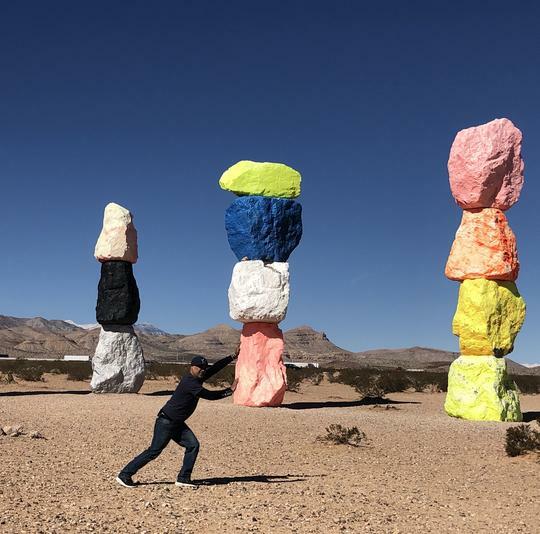 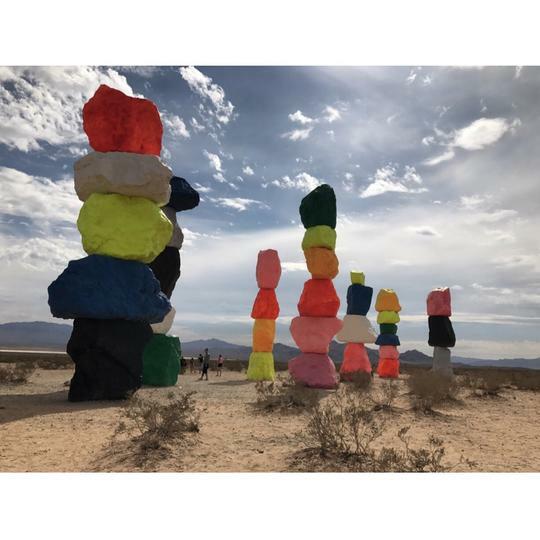 Swiss artist, Ugo Rondinone, wanted to break up a monotonous desert plain in Las Vegas. 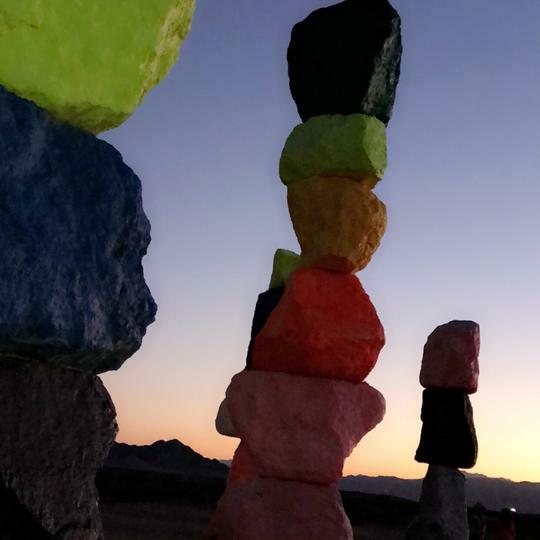 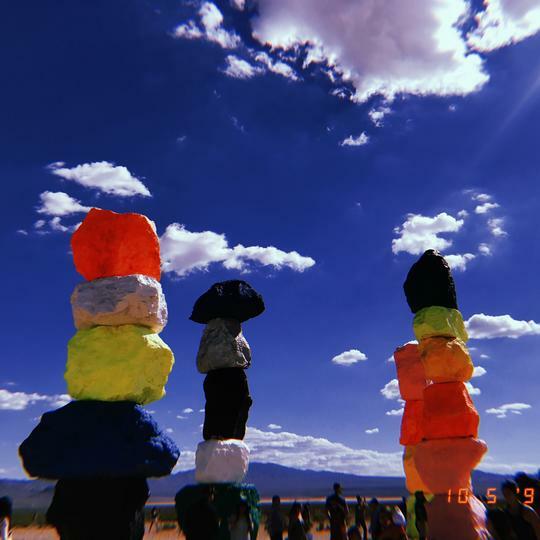 He gathered boulders and positioned them on top of one another, until he had seven totem-like structures about 35 feet high. 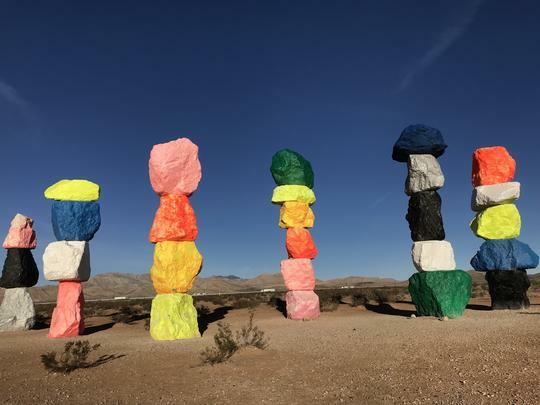 Each boulder is painted a radiant color. 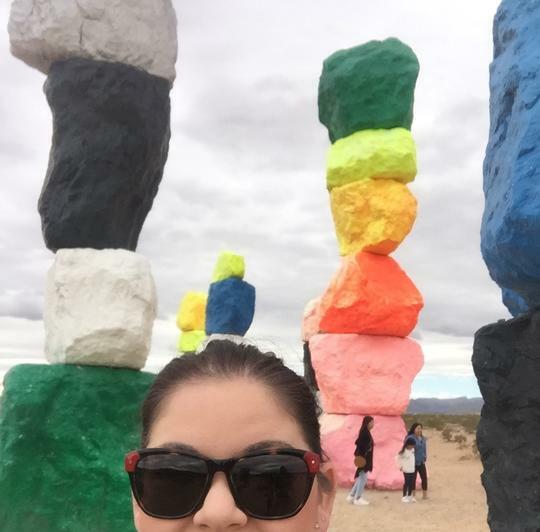 Since these structures were made to be enjoyed by everyone, feel free to walk between them. 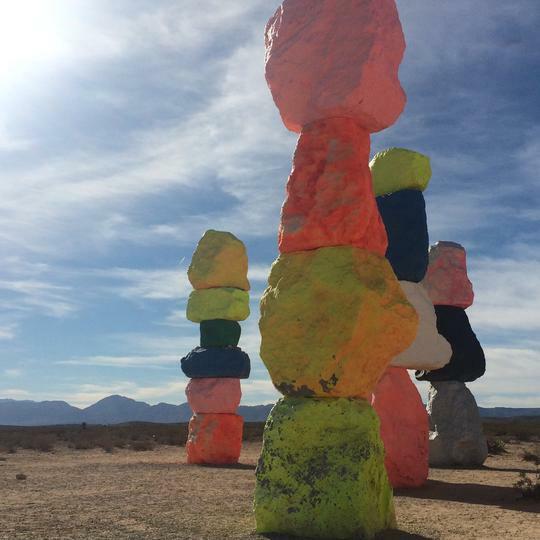 Their magnificence is more pronounced when you stand right next to them. 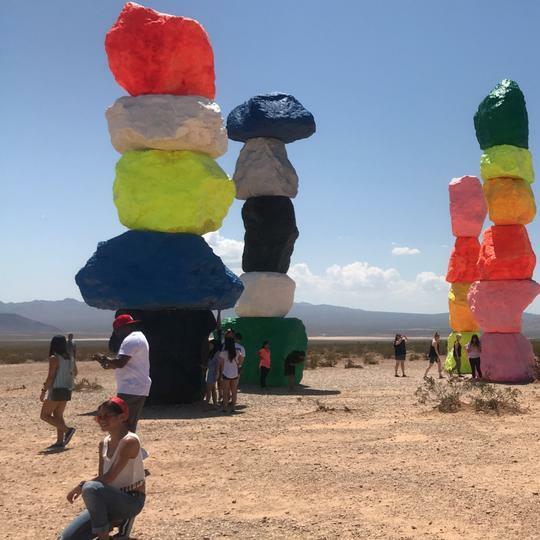 Huge, much bigger than I expected.